BAKE SALE!! – Saturday, March 31 10am-2pm. Stop by 7 Harris Street and pick up assorted baked goods. Want a spinach pie? Call 978-462-8367 to order ahead. 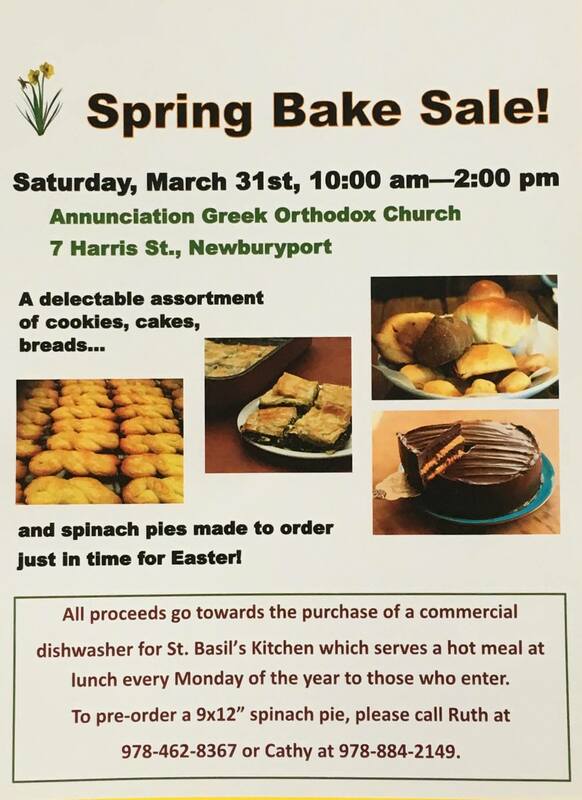 All proceeds benefit St. Basil’s Ministries and their goal to purchase a commercial dishwasher.